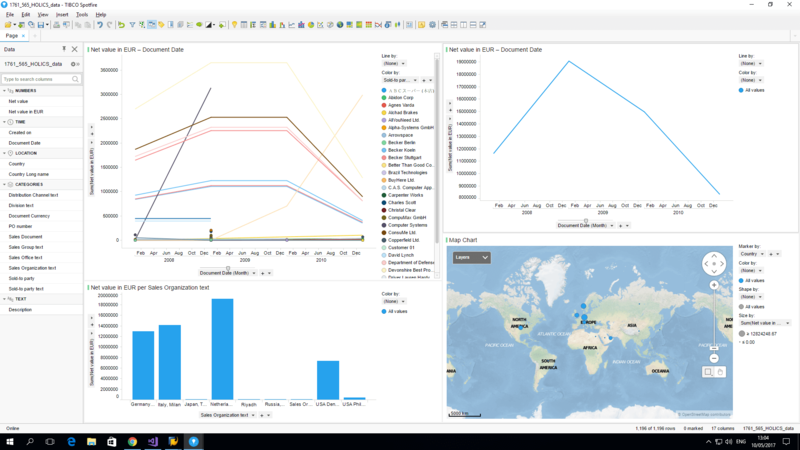 Push SAP® ERP data to Spotfire® desktop with a few clicks and visualize data easily. TIBCO Spotfire® helps you quickly uncover insights for better decision-making, while SAP ERP has significant percent of the data needed to get those insights. VirtDB Data Unfolder helps you to close the gap between SAP data and Spotfire to focus on the most important part: decision-making. In this 3-step guide we will demonstrate how to create shiny sales dashboards in Spotfire Desktop using operational data from SAP ERP. The first thing you have to do is to prepare the report in SAP ERP to be visualized in Spotfire. 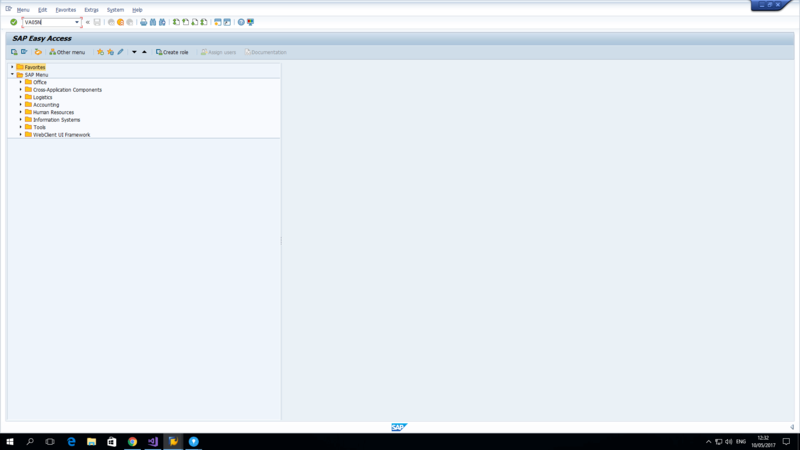 You can do this by browsing the SAP Easy Access menu or by searching for the VA05N transaction code. This will open a screen where you can filter the data. By configuring the filters, you can reduce the size of the data set, that will be extracted from SAP and opened in Spotfire. If you have VirtDB Data Unfolder installed on your SAP system, you will see the VirtDB button in the top left corner of the report area. 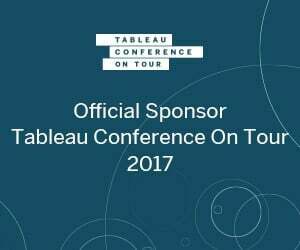 Click the button and select Display in Tibco Spotfire at the top of the menu. 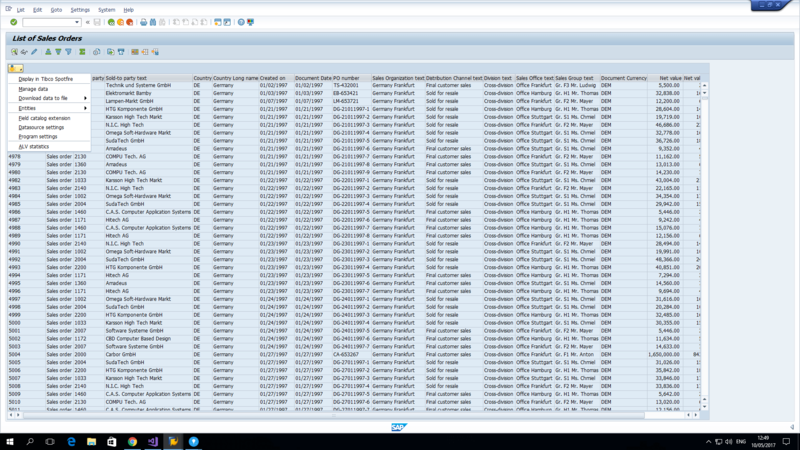 This will generate a native .sbdf file from the SAP report data and open it in Spotfire automatically. The data in Spotfire will inherit the descriptive column headers and all metadata from the SAP report, instead of the standard SAP codes. Now that you have your sales orders report data from SAP in Spotfire, you can start building shiny visualizations and dashboards.